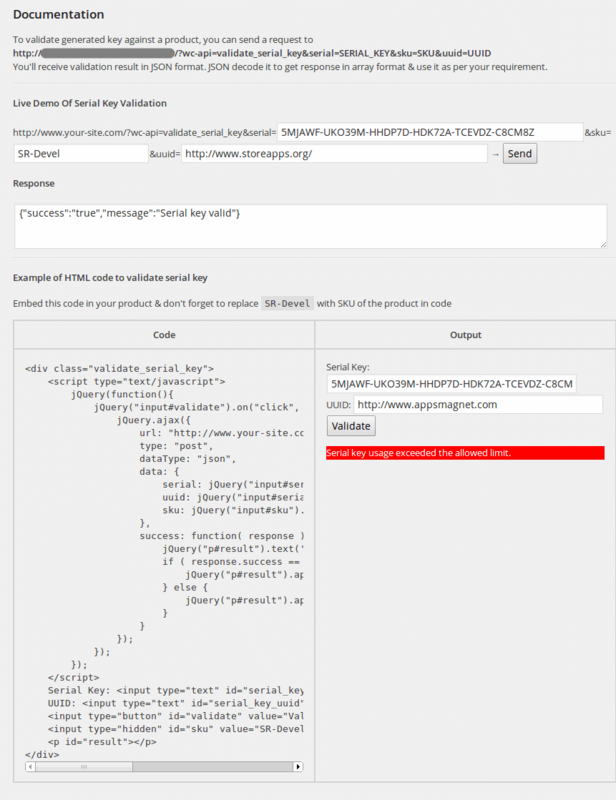 WooCommerce Serial Key gives the store power to validate all generated serial keys against orders & product. The validation process also checks download limit & expired download. If serial key will be used more times than the usage limit, as per your setting, you can get this information while validating serial key. A detailed explanation along with an example is given in the plugin itself. You can go to WooCommerce -> Serial Key for that.